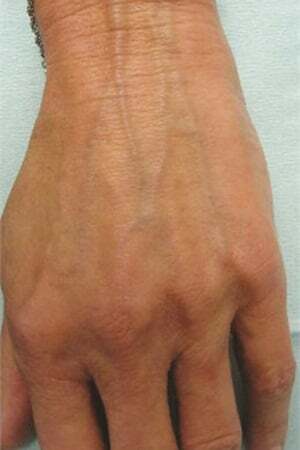 In this month’s column, Dr. Stern talks about cutting-edge cosmetic procedures to make hands look more youthful. I spend a large part of my day examining hands. 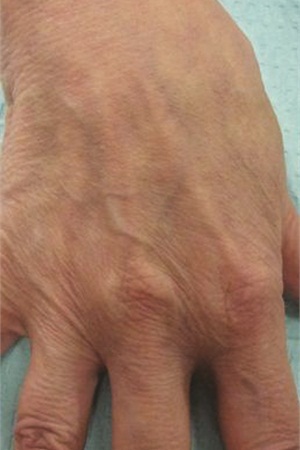 Apart from the face and neck, the hand is the most visible unclothed area of the body, and hands are a telltale sign of aging. I began to notice that many of the women coming to see me for nail issues had beautiful youthful faces but when I went to examine their hands there was a tremendous discrepancy in appearance. Faces were plumped, even, smooth, and radiant in contrast to hands with pronounced veins, sun-spots, wrinkles, and volume loss. In today’s hand-held world we are always handling a device and consequently our hands are more relevant to appearance than ever before. 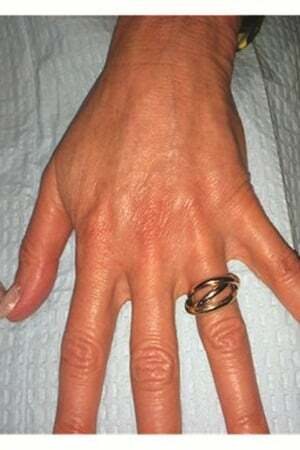 I began to offer my patients a variety of the most cutting-edge cosmetic procedures for the hands. For hand recontouring, which restores volume and stimulates collagen regrowth, I use injections of Radiesse, an FDA-approved volumizing filler used mostly for moderate to severe facial wrinkles. The product is mixed with an anesthetic and so there is minimal discomfort experienced by the patient. Results are instantaneous and can last up to a year or longer. Possible side effects include bruising and swelling, both of which gradually go away. In addition to filler, I offer several laser options for hands. For the removal of brown spots, I use an NdYag laser. Depending on the extent of pigmentation, patients may need between one and several treatments. After the procedure, patients are advised to avoid sun in order to prevent re-pigmentation. Fraxel, the go-to laser for facial resurfacing, can be used on the hands for a smoother, more even skin texture and a softening of wrinkles. A numbing cream is applied prior to the procedure and oftentimes two or three treatment sessions are recommended. Additionally, regular chemical peels can also be very successful in brightening and evening the skin tone and pigment of the hand. The final result: beautiful, youthful hands that are ready for that perfect coat of polish that is sure to get your clients’ hands noticed! Editor’s note: Whether your clients’ needs are related to a nail disorder or strictly cosmetic, it’s important to have a relationship with a medical professional (maybe more than one) you can refer to. A relationship with a local dermatologist or podiatrist is mutually beneficial since referrals can flow both directions. Gaining a doctor’s trust is a matter of convincing her that your salon meets the highest sanitation standards and that you understand your job is not to diagnose or treat, but to recognize and refer. Dermatologists treat skin, hair, and nails. I am a board-certified dermatologist and one of the country’s only nail specialists. My practice is focused on the treatment of nail disorders including nail infections, inflammatory diseases of the nail, cosmetic issues related to the nail, nail cancers, nail surgery, and sports-related nail injuries.